← Paulus wins Speedgammon event in Dubrovnik! 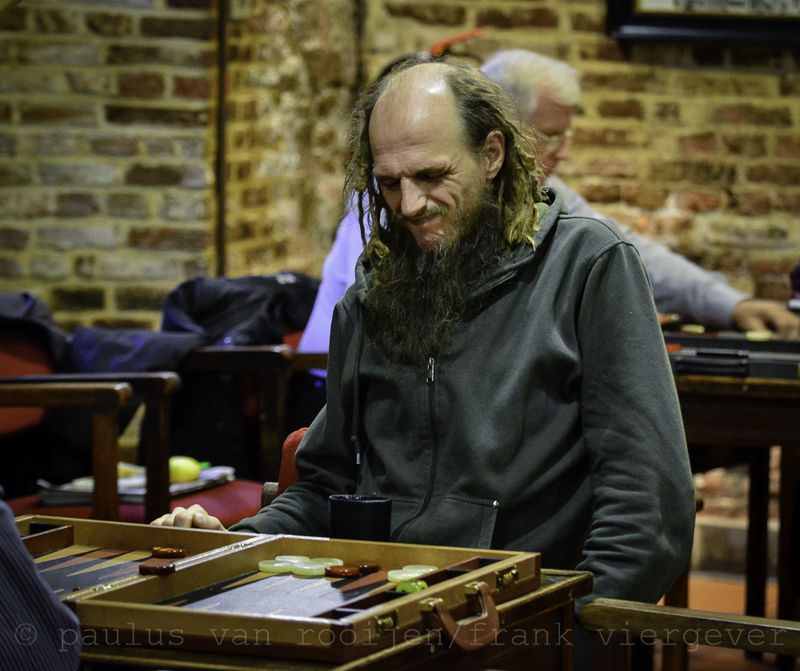 Recording your matches with a webcam (or otherwise), transcribing them in XG and afterwards studiously analysing your errors, is a very efficient and fun way to get ahead in backgammon. This is demonstrated by the significant progress made by those who invest time and effort in this exercise. PR Geert (MS 0043 6*15). Geert wins 4-2. PR Robin (MS 0043 6*15). Robin loses 2-4. PR Geert (MS 0046 10*13). Geert wins 6-4. PR Marc (MS 0046 10*13). Marc loses 4-6. Pretty solid stuff by both players. True, the absence of pressure (there is no pecuniary reward at stake) may cause these PR’s to be slightly inflated and thus a bit flattering, but it is my guess that they will not diverge by more than 0,3 PR from both players’ real playing strengths. PR Michel (2*13, 4*9, 1*5). One can always hope for more and better, but all in all that is a satisfying PR for matches played in tournament conditions. Next challenge on the agenda is the 2nd Xmas Trophy, which will be held on Wednesday 27 December 2017 at the Sandeman Club in Gent. Among the contenders are almost the complete top-10 of the BMS GT and … the winner of the Dubrovnik Open 2017 : Tilman Söhnchen from Berlin (GER). Also attending is the German top player (GM?) Dirk Schiemann.